What Are Some Healthy Pumpkin Recipes? Some healthy recipes using pumpkin are CookingLight's Pumpkin-Honey Beer Quick Bread, EatingWell's Roasted Pumpkin-Apple Soup and Health magazine's Pumpkin Cheesecake with Glazed Hazelnuts. Each recipe contains healthy ingredients or alternatives, such as flaxseed, egg substitute, reduced-sodium chicken broth and fat-free cream cheese. To make Pumpkin-Honey Beer Quick Bread, combine flour, salt, baking soda, baking powder, ground cinnamon and pumpkin pie spice in a bowl. In a separate bowl beat together sugar, canola oil, honey beer, egg substitute and eggs, then add a mixture of water and flaxseed to combine. Finally, beat in the flour mixture and bake the batter in oiled loaf pans before cooling at room temperature on a wire rack. To make Roasted Pumpkin-Apple Soup, first roast the pumpkin, tossed with apples, olive oil, salt and pepper for half an hour before adding sage and continuing to roast until tender. Puree a third of the roasted pumpkin and apples at a time with reduced-sodium chicken broth and pour into a Dutch oven to simmer. For the crust of the Pumpkin Cheesecake, graham cracker crumbs are combined with granulated sugar and melted butter, then compacted into the base of a springform pan. To make the filling, beat together Neufchatel and fat-free cream cheese, adding sugar, flour, vanilla extract, pumpkin pie spice, salt, coriander and cardamom. Beat in 4 eggs, one at a time, followed by a can of pumpkin, then pour the mixture over the crust. The topping is prepared by coating hazelnuts in hot brown sugar and butter, then allowing to cool. What Are Some Recipes for Libby Pumpkin Bars? What Is a Healthy Rutabaga Recipe? 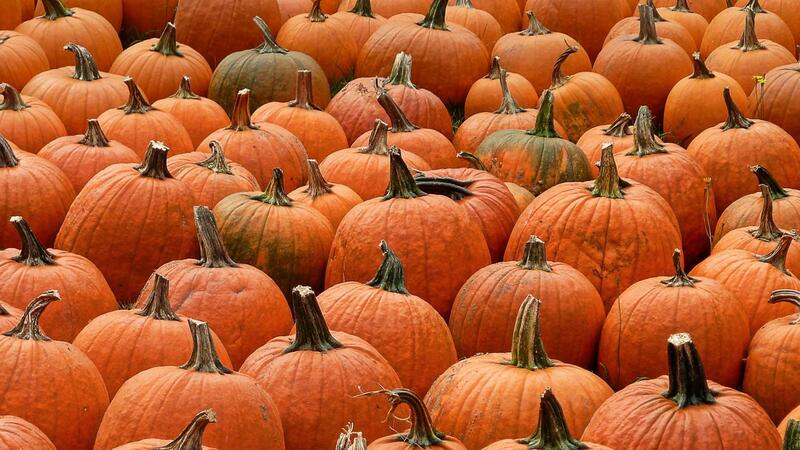 What Type of Fresh Pumpkin Is Good for Cooking Pumpkin Pie? How Do You Cook Raw Pumpkin? What Are Some Cauliflower Recipes? What Are Some Easy Recipes Using Mushrooms? How Can You Find Recipes for Vegans?